The CC Riders play a unique mix of blues, roots country/rockabilly and Hispanic music. Its a repertoire that is special to this central California quartet. From the lyrical ballads to gritty blues they take advantage of the variety of style that each member brings to the group. And they have the instrumental prowess to make it all work. This quick and dirty video was made in Kenny’s living room (by his wife Lisa manning the smartphone thanks) as a demo to apply for a festival because, well, we didn’t have anything to show and we needed something now! It came out ok, we thought, so its up here as a way to introduce you to the group. Louie Ortega is well known for his career as a solo performer, for his work with the Texas Tornados, his Grammy and his huge talent as a songwriter. Dorian Michael is jack-of-all-trades, versatile guitarist who travels America playing earthy acoustic music and fingerstyle guitar and plays rowdy electric blues in his home county. 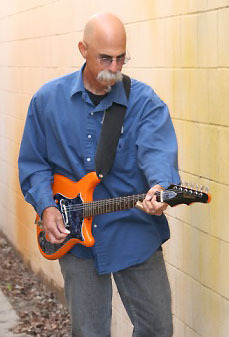 Bassist Ken Hustad is known throughout central California as a first-call player among the music community whether its the symphony or a blues band. Kenny Blackwell is a virtuoso mandolinist playing bluegrass or blues, Brazilian or old-timey, rock and roll or swing. He was a longtime member of Herb Pedersen’s Laurel Canyon Ramblers, and has recording credits from Linda Ronstadt to Neil Diamond. With this combination of players the CC riders have something special to offer, a truckload of musical surprises.